Wow we have been on an ice cream kick for the past few weeks! I think it’s mainly stress (I am working incredibly insane hours at work right now). Nathan’s favorite ice cream is peppermint ice cream. Which, I must confess, I had never even heard of until I met him. It really only comes around at Christmas-time in mass production. It wouldn’t be my choice if I had a pick of flavors, but if it’s all that’s there, I’m not passing it up! 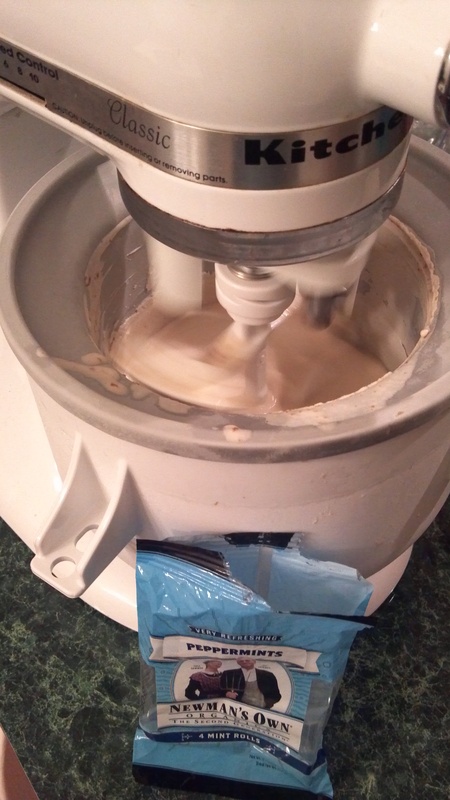 Now, you’ll notice that this recipe looks shockingly similar to the Maple Almond (with Chocolate Shavings) Ice Cream from a few days ago. 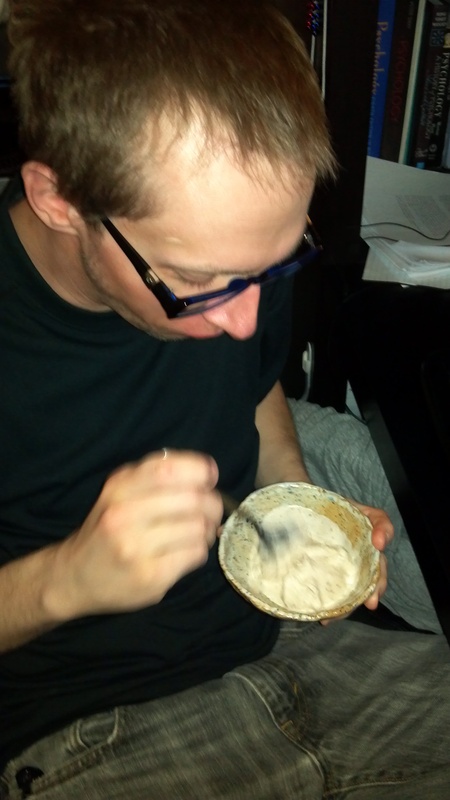 It is, basically, the same base recipe, just adjusted for flavor. 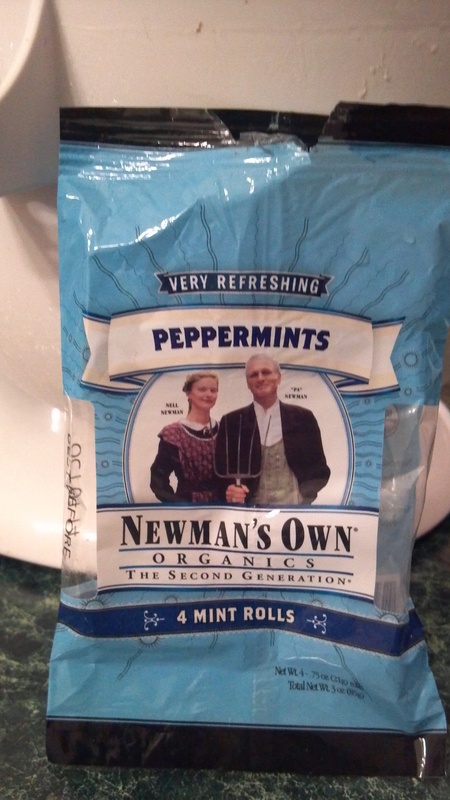 We used peppermints made by ‘Newman’s Own’ – they were the least processed that I could find. I used all of them. Minus a few we nibbled on! …And it gets the seal of approval! I may be MIA for the next two weeks – big project at work – I’ll miss you guys! And I’ll be back as soon as possible! !